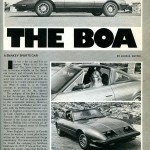 Boa sports cars are coming out of the woodwork! Erich Schultz has one. Guy Dirkin has one. Whose next to buy a Boa? 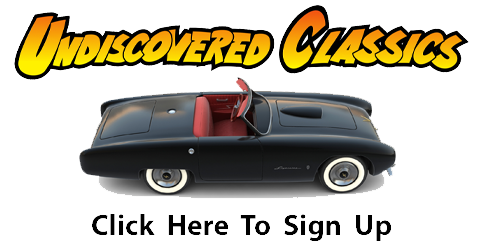 These fiberglass bodied custom coachbuilt sports cars came with an aluminum monocoque chassis, and are virtually unknown today. Let’s fix that and review an article written in late 1978 about the design, build, and excitement of the debut of Boa in Los Angeles (Ventura), California. It’s not a kit car and it is expensive. What is it? It’s the Boa! The latest luxury sports car to become available on the American market, and it’s made here in California and is available now. It is not some pipe dream of an automobile designer nor is it some replica of a bygone car. 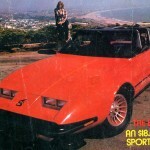 What it really is, is an honest attempt at producing a modern and unique sports car for the eighties. 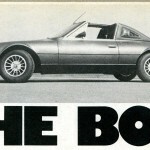 The pedigree of the Boa is unusual in that the designer, Englishman, David Saunders had had no prior experience in the automobile industry. 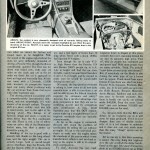 However, he was a well established aircraft engineer with the DeHavilland aircraft company in England at about the same time as Colin Chapman, (the most famous Formula One designer and also the founder of the Lotus car company) and Maurice Phillipe (also a formula car designer who designed many of Parnelli Jones’ recent cars). From England he moved to Canada where he worked as a test pilot before setting up his own aeronautical design consultancy. This was so successful that he moved the company to Southern California in 1973. It was at that time, during the energy crisis, that David decided to set about designing an efficient sports car using aeronautical principals. 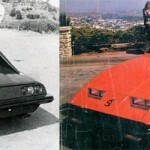 Rather than publicize the car while it was still only on the drawing board, David set about designing and actually building several examples before he ever announced the car. 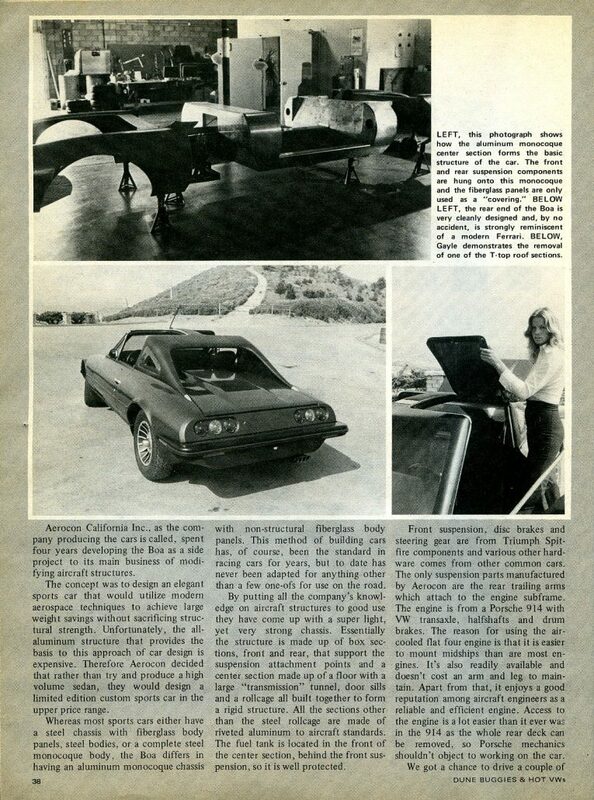 Aerocon California Inc., as the company producing the cars is called, spent four years developing the Boa as a side project to its main business of modifying aircraft structures. 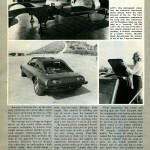 The concept was to design an elegant sports car that would utilize modern aerospace techniques to achieve large weight savings without sacrificing structural strength. Unfortunately, the all-aluminum structure that provides the basis to this approach of car design is expensive. 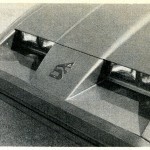 Therefore Aerocon decided that rather than try and produce a high volume sedan, they would design a limited edition custom sports car in the upper price range. Whereas most sports cars either have a steel chassis with the fiberglass body panels, steel bodies, or a complete steel monocoque body, the Boa differs in having an aluminum monocoque chassis with non-structural fiberglass body panels. This method of building cars has, of course, been the standard in racing cars for years, but to date has never been adapted for anything other than a few one-offs for use on the road. By putting all the company’s knowledge on aircraft structures to good use they have come up with a super light, yet very strong chassis. Essentially the structure is made up of box sections, front and rear, that support the suspension attachment points with a center section made up of a floor with a large “transmission” tunnel, door sills and a rollcage all built together to form a rigid structure. 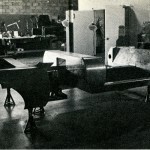 All the sections other than the steel rollcage are made of riveted aluminum to aircraft standards. The fuel tank is located in the front of the center section, behind the front suspension, so it is well protected. 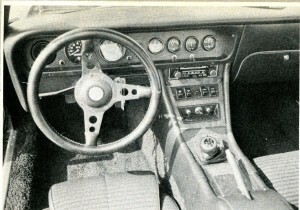 Front suspension, disc brakes and steering gear are from Triumph Spitfire components and various other hardware comes from other common cars. The only suspension parts manufactured by Aerocon are the rear trailing arms which attach to the engine subframe. The engine is from a Porsche 914 with VW transaxle, halfshafts and drum brakes. The reason for using the air-cooled flat four engine is that it is easier to mount midships than are most engines. It’s also readily available and doesn’t cost an arm and leg to maintain. Apart from that, it enjoys a good reputation among aircraft engineers as a reliable and efficient engine. 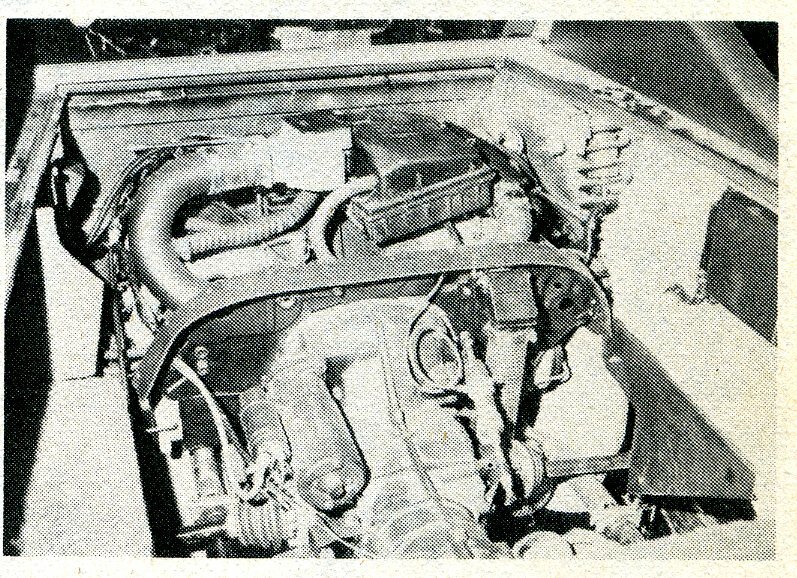 Access to the engine is a lot easier than it ever was in the 914 as the whole rear deck can be removed, so Porsche mechanics shouldn’t object to working on the car. We got a chance to drive a couple of cars when we visited the factory and found them to be delightful. With the sound of the engine right behind the seats we were definitely reminded of driving a Porsche 914, though the Boa is considerably quieter! The first one we drove was brand new, with only 24 miles on the clock and yet in the 10 miles we drove the car it appeared to have no bugs and was rattle free. All the cars come with a 12-month, 12,000 mile warranty so prospective buyers need not worry about problems with the car anymore than those that occur with other expensive cars. 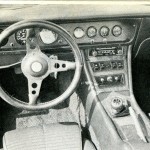 The driving position is excellent with a comprehensively instrumented dashboard, and not surprisingly, it’s reminiscent of an aircraft cockpit. The gearshift is a short, stubby stick that falls to hand nicely, just to the right of the steering wheel. The linkage is of Aerocon design and seems to work ten times better than the 914 mechanism ever did. There is not a lot of elbow room on either side of the Huntmaster bucket seats, but then a sports car should be a snug fit. Handling of the car is good with a smooth ride thanks to the long wheelbase and the light weight. 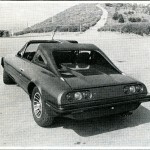 The car is actually longer, both in overall length and in wheelbase, than the Porsche 924 and the Datsun 280Z. It is also nearly 1000 lb. lighter, with a curbside weight of only 1800 lb. These facts alone help give it excellent handling as well as good performance coupled with excellent fuel economy. 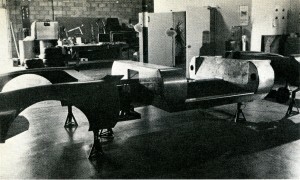 We did not have a chance to get any performance figures, but Aerocon claim a 0-60mph time of 8.5 sec. and a fuel figure of better than 30 mpg when fitted with a stock 1800cc fuel injected 914 engine. Even though the car is only 47.5 in. 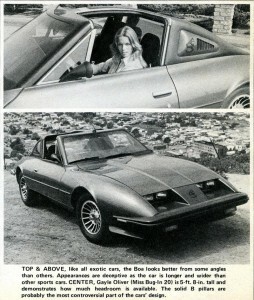 high (lower than the Porsche 924 and Datsun 280Z) people up to 6 ft 4-in. in height will find the car comfortable, mainly because David Saunders is over 6 ft. in height and he wanted to make sure he would be comfortable driving his own car! Of course, the big question everyone is asking is, how come an all new auto manufacturer is able to introduce a car and be able to pass the federal standards required for emissions and safety? Aerocon has a decided advantage over most companies in that they are used to certifying aircraft and by comparison auto certification is easy. David Saunders says that the DOT requirements make up a straightforward list of required standards that are basically common-sense. As far as the engine is concerned, Aerocon gets around the problem of certification by selling the car without an engine. It’s up to the individual purchaser to make sure the engine meets the standards of the year in which it was manufactured, which is not too hard as long as the engine is still in its original stock configuration. To date, Aerocon has not crash tested a car but they plan on doing so in the near future as they are confident that the results will show the chassis to be stronger than most steel bodied cars. But the $64,000 question is how much does it cost? Answer: $18,500 (including engine). 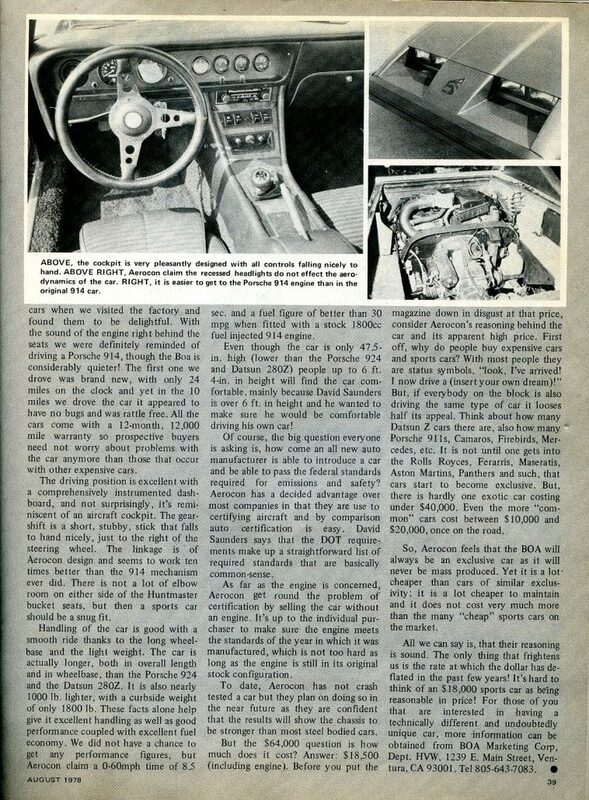 Before you put the magazine down in disgust at that price, consider Aerocon’s reasoning behind the car and its apparent high price. First off, why do people buy expensive cars and sports cars? With most people they are status symbols, “Look, I’ve arrived! I now drive a (insert your own dream)?” But, if everyone on the block is also driving the same type of car it loses half its appeal. 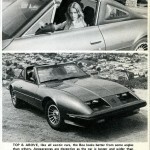 Think about how many Datsun Z cars there are, also how many Porsche 911s, Camaros, Firebirds, Mercedes, etc. It is not until one gets into the Rolls Royces, Ferraris, Maseratis, Aston Martins, Panthers and such, that cars start to become exclusive. But, there is hardly one exotic car costing under $40,000. Even the more “common” cars cost between $10,000 and $20,000, once on the road. So, Aerocon feels that the BOA will always be an exclusive car as it will never be mass produced. Yet it is a lot cheaper than cars of similar exclusivity; it is a lot cheaper to maintain and it does not cost very much more than the many cheap sports cars on the market. All we can say is, that their reasoning is sound. The only thing that frightens us is the rate at which the dollar has deflated in the past few years! It’s hard to think of an $18,000 sports car as being reasonable in price! For those of you that are interested in having a technically different and undoubtedly unique car, more information can be obtained from BOA Marketing Corp., Dept. HVW, 139 E Main Street, Ventura, CA 93001. Tel 805-643-7083. What a nicely designed car for its time with the classic “wedge” shape too. And a very impressive approach to the design and build of the chassis for this car. Less than 20 of these cars were produced and many still exist today – often in good running form. No doubt this is a testimony to David Saunders and his vision of what a well-made, high end sports car could be to an admiring public. And we’re still looking for David Saunders to document this history of the BOA in further detail. We’ve found at least two of the folks who were involved with the car in the late ’70s, but the elusive David Saunders is no where to be found. Where are you David Saunders? If someone knows the answer to this question, please contact us at Forgotten Fiberglass. 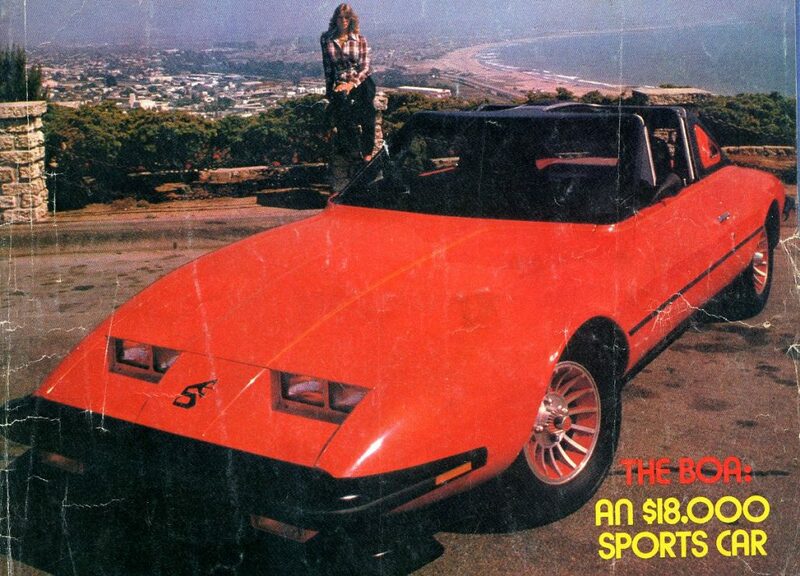 David….we’re waiting to learn “the rest of the story” for this nice California Sports car from 1978. 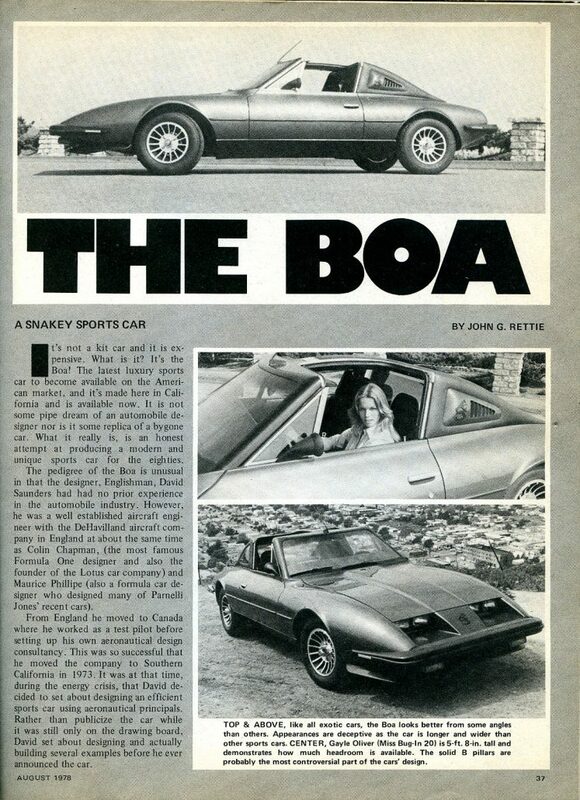 The Boa was a very technically advanced car, I can only figure in 1978, it was mentally too big a jump for most buyers for an essentially VW mechanical’s car (regardless of HP to weight which was very strong) to spend $18K. 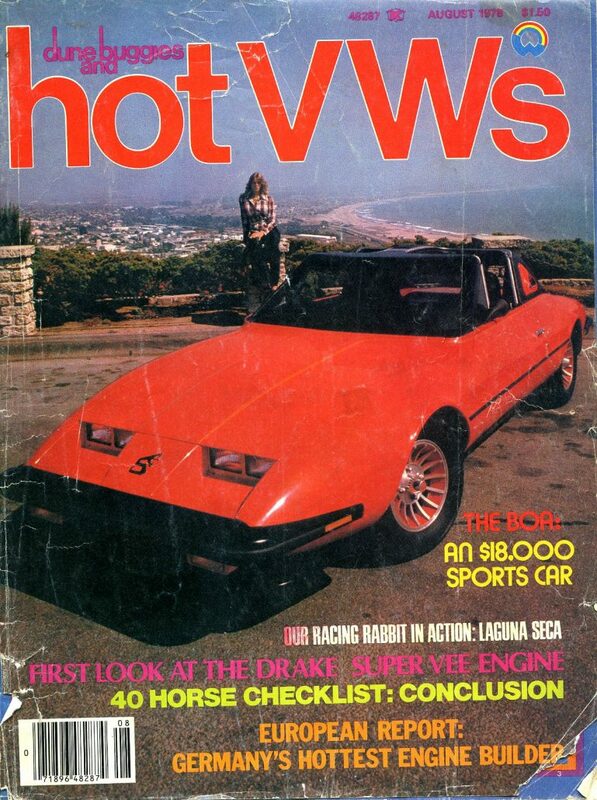 Styling for the time was very in keeping with the direction of more exotic cars, albeit questionably pretty. But time marches on and there is much fascination with these older cars. Now of course it seems like a real bargain. As the famous Tom Barrett used to say during his auctions, “you can never pay too much for a car, just too soon”… seems there is much wisdom in the saying. Regardless of its lack of sales success, the Boa rightfully deserves it’s page in the history books. BTW I could be wrong but I seem to remember that one of these did make its way to Ebay in the last few years. Anyone else remember seeing it or is my memory flawed? Geoff, Thanks for the great story. The Boa really is a treasure! It’s construction is better than other specialist cars of the period. While similar in overall quality to a contemporary Lotus, Marcos, or TVR, the aluminum monocoque chassis elevates this car to a level above the rest. The construction is remarkable, truly to aircraft standards. We know of just four cars out of a total of fifteen made, so eleven are potentially still out there. If anyone finds one, he should get it! He will have something really special. Jim Simpson is probably correct – a man named Larry Rosenblatt says that he purchased an Aerocon Boa on eBay in 2008. Also, another person named Colin Campbell claims to have designed the original six page color folder / brochure for the Boa on a very low budget. 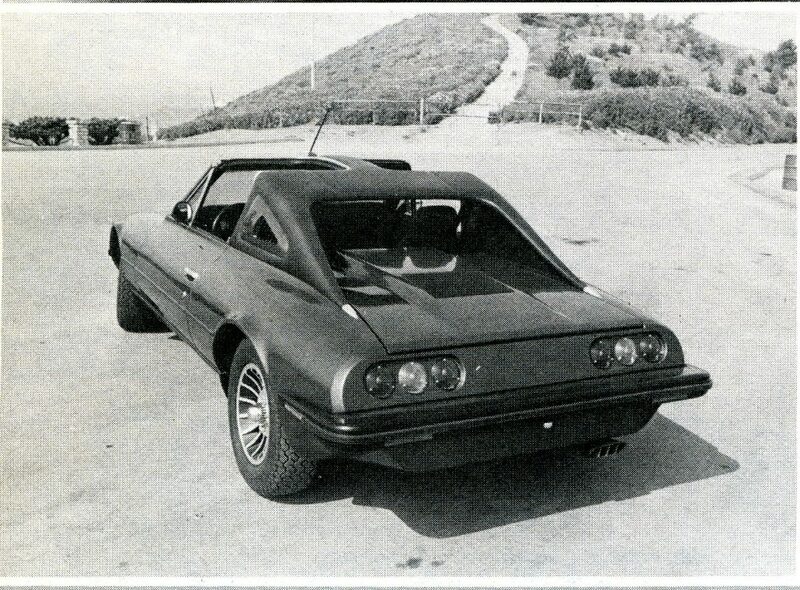 A well built car,but in 1978 overpriced for the target market(in my opinion) ..I thought it looked too much like a Mazda RX-7..I also remenber seeing it listed on E-Bay a while back..
As an owner of an Aerocon Boa I could be accused of bias. Let me say a few words about these cars. These are factory built cars. There were only 15 completed. They are built to aircraft standards by an aircraft engineer. From a design perspective some angles are a not ideal. 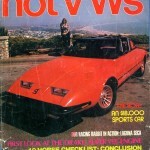 However, the overall package for a rare late 1970’s car scores high. Here’s a link to a little more information. As a racer, I am facing a dilemma. The roof on these cars can be removed quite easily. 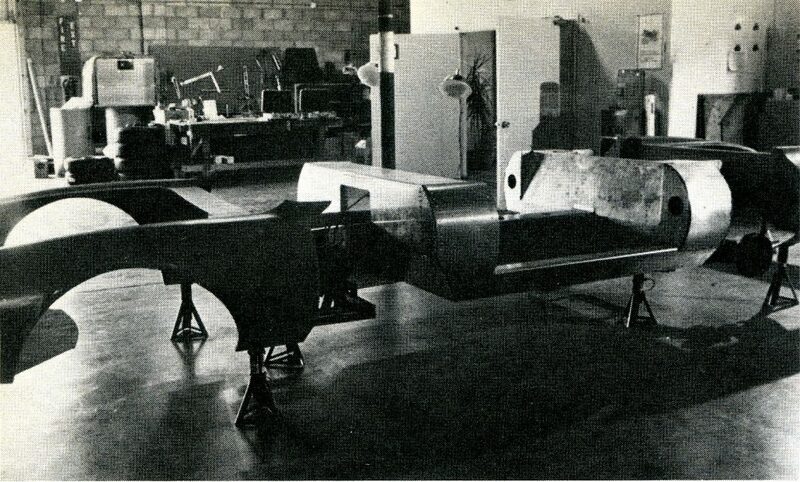 I think that a stripped down Aerocon Boa could weigh close to 1450 lbs. 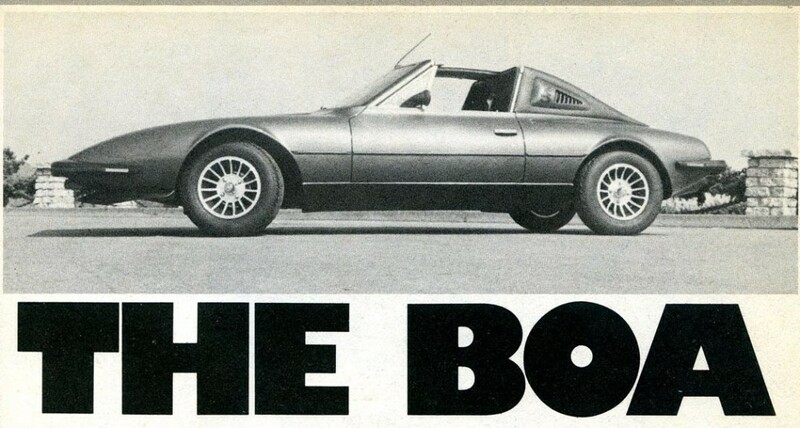 The car is a natural to eat Porsche 914’s. 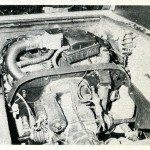 A six cylinder Porsche engine can go in engine space. This car could really eat up the track in its class. BUT, they only made 15 and the one I own has 7500 miles from new and is very complete. Every day I noodle over the preservation vs. cannibalization dilemma! Hey Guy, I’ll answer you here on this thread so everyone can share in my reply. I have Boa chassis number 5. I discovered my car in a junk yard in Sunland, CA. Unfortunatley, the junk yard thought the Boa was a worthless kit car and allowed people to remove the T-Tops, the instruments, the steering wheel, and some of the other original bits. 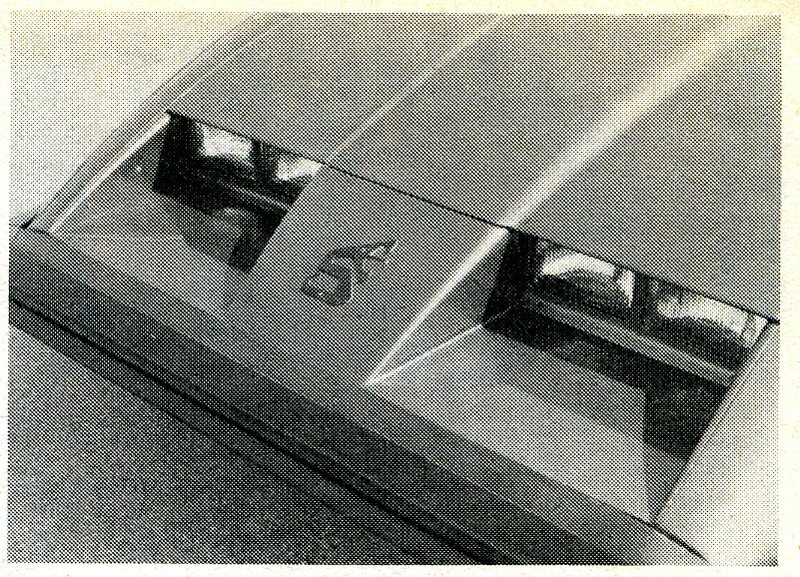 Also the cosmetic condition of the car was quite bad (but structurally and mechanically good). The padded vinyl rear roll structure is badly sun damaged and the interior upholstery is ruined too. The good news is this: since we know that there are at least a few surviving Boas in “showroom” as new condition, I will have no qualms of conscience with turning my Boa into a competition special. I will post pictures of the process on FF. My dad worked at the California factory building the dashes. Would love to buy one if I could find one.